When the Wisconsin Brewers Guild pairs up with high quality restaurants, DRAFT Magazine and the Wisconsin Cheese Board, the results are practically guaranteed to be amazing. This past Saturday was my second Wisconsin Beer Lovers Festival and for the second year in a row, it was epic. Not only did many of the brewers bring amazing limited beers, some of the best chefs in the state provided excellent food. Yeah, that’s right, not only great beer, but great food as well. Best Food: My favorite food, the table I made a beeline to was the NorskeNook pie stand. Their pies are amazing! I had four slices throughout the course of the day! Runner Up: Great Dane andoullie sausage sliders were amazing paired with either the Old Glory American Pale Ale or the Rusty Lawnmower Lager. Biggest Surprise Food/Beer: The Milkshakes at Sassy Cow/Karben4. While all the milkshakes were excellent, the Smoked Porter Chocolate Milkshake was easily my favorite. Runner Up: Vintage Brewing Portable Pot Roast. Ribs, parsnips, cheese, mashed potatoes, garlic and scallions all combined and deep-fried? They should really serve this at the State Fair! Best Cheese: Deer Creek 7-year Proprietor’s Grand Reserve, sharp and salty! 1) Vintage Brewing Dubbloon, a Yahara Bay rum barrel-aged Abbey Dubbel. With everyone rolling out barrel aged beers now, it is refreshing to see a well-done example. The choice of aging a Belgian Dubbel in a rum barrel was spot on! 2) Vintage Brewing Grätzer Ale, a traditional Polish wheat ale that is pleasantly smokey and reminiscent of grilled hotdogs. 3) Titletown Brewing Berliner Weisse, few beers are as refreshing on a warm day spent in the sun as a Berliner Weisse, and Titletown definitely brewed up a great one! They even brought the Woodruff syrup! Beer I am most disappointed that I missed: Point Brewing Company’s Chai Tea Porter. After hearing good things about it at the fest and reading the the Beer Runner’s review I feel like I missed a great one. Celebrity Sightings: Well, since the brew masters and owners from most of the breweries showed up for the fest, it’s a super long list. However, I do appreciate Dave from Deep Water Grill, Nate from Great Dane, Heather from Titletown Brewing, and Scott from Vintage Brewing taking the time to talk to me about what they brought. Best non-beer drink offering: Sprecher Hard Rootbeer. Runner Up: Fox River Brewing Co.
that note, there’s always next year! There you have it, short, succinct and to the point. If you didn’t make it this past Saturday, buy a ticket for your dad and take him to what is definitely one of the top beer fests in the state! 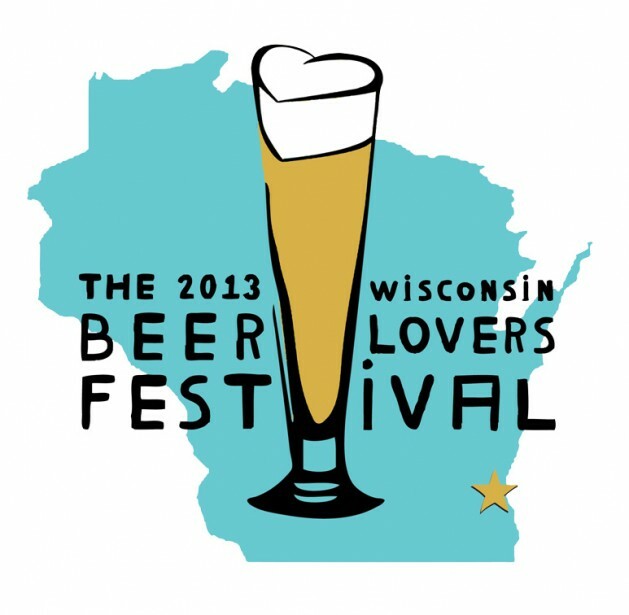 That’s all for tday, check, back through the week for more on the 2013 Wisconsin Beer Lover’s Festival!